I’m working on non-shale gas assignments through May 2015. Look for posts here again prior to the release of the updated version Under the Surface, due out in paperback in June from Cornell University Press. 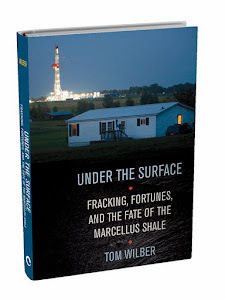 The new release will include chapters on the Home Rule movement and other factors that shaped policy in New York, and EPA investigations in Dimock Pennsylvania and elsewhere that sparked a national fight over industry control. Tom, I noticed on page 1273 of the FSGEIS that DEC used the assumption... Alright, I haven't read it. We need you back. The environmental blogosphere is like the 1990s era Chicago bulls when Michael Jordan left to play "baseball." Bloggers are well organized. 바둑이사이트주소 I would like to acknowledge your efforts.